This is a watercolor painting that will brighten your room and serve as an easy reminder of the music in all of life and the life in all of music. 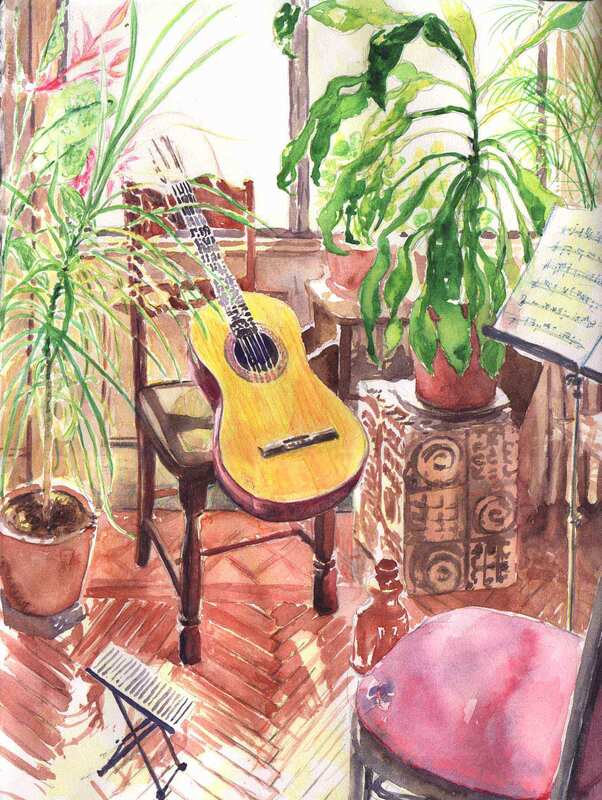 It’s a portrait of my classical guitar, the one I play every day, perched on a chair in the living room of my apartment here in New York City. There’s music on the stand, and seeing this always makes me want to step inside the painting, pick up the guitar, and start playing.